From Anonymous of Pearl River, New York on 3/13/2019 . From Mark Ramey of Sparta, Michigan on 2/14/2019 . From Herman &amp; Patti Block of Apple Valley, Minnesota on 11/24/2018 . Shipment received as ordered; on time. From MARK LEDBETTER of NEW CASTLE, Indiana on 5/26/2018 . 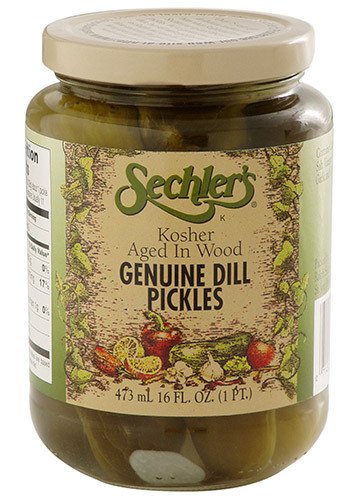 "WOW" THATS THE WAY A DILL PICKLE SHOULD TASTE LIKE! MY FAMILY LOVES THEM !!!! From PJ Gates of Winter Haven, Florida on 10/5/2017 .